Healing the body through proper nutrition, rather than just treating the disease, can increase the recovering individual’s chances at not only recovery, but also a healthy life. Nutrition is fully entwined in the process of addiction and recovery, as addiction often depletes the body from nutrients that are responsible for providing energy to the body and strength to the immune system. Nutrition-based counseling provides the support and educational services that individuals in recovery need to play an active role in helping their bodies heal from addiction. We at Long Island Center for Recovery (LICR) believe that by educating clients about their dietary needs and the choices available to supplement those needs, it will help individuals make informed dietary-decisions long after they have completed treatment. 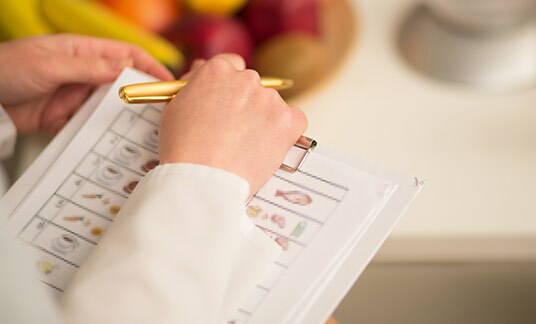 Depending on the client’s particular needs, Nutritional Counseling sessions may also include educational information on food addiction and emotional eating. In addition to the efforts of our nutritional counselors, clients attending residential treatment have the opportunity to experience healthy meals prepared daily by our in-house chef. These meals often offer plentiful amounts of protein, dietary fibers and complex carbs that take longer to digest, therefore providing more stable sources of energy to avoid the cravings for sugar. At LICR, we are committed to providing our clients with the most recent and effective information available on how nutrition can be used to support the client’s therapeutic addiction recovery efforts. But, as you know, nutrition is a science that is constantly evolving and every person has unique dietary requirements that vary based on their ability to absorb, transport, and digest nutrients. In addition, each person’s metabolism depends on a wide range of individualized factors such as genetic background, age, environment, activity level, food choices, and allergies. Besides all the variables, making the connection between addiction and nutrition, and following basic nutritional guidelines, is essential for a lifelong lasting recovery.